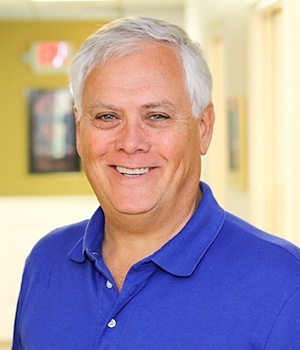 Dr. Wright graduated from the University of Maryland Pharmacy School in 1981 and then pursued his Doctor of Dental Surgery from the Dental School at the University of Maryland, finishing his degree in 1985. During this time, he also completed externship training at John Hopkins Hospital, the University of Maryland Hospital, and Baltimore Cancer Research Center. After completing all of his schooling, Dr. Wright joined the US Navy. There, he received in advanced training in a wide variety of dental subjects, including oral diagnosis, periodontics (gum disease), endodontics (root canals), oral surgery, anesthesia, advanced cardiac life support, and advanced traumatic life support. His military decorations include two Navy Commendation Medals, two Navy Achievement medals, Combat Action Ribbon, and the Armed Forces Expeditionary Medal. After four years of active duty, he left in order to start his own dental practice in Maryland while still remaining in the Navy Reserve for an additional 17 years. During that time, he often provided care at Bethesda Naval Hospital. After practicing in Maryland for 10 years, Dr. Wright accepted a position at the Veterans Administration Medical Center in Washington DC. In addition to treating patients, he also served on the hospital’s Infection Control Committee and was a member of the Medical Center’s Chemical and Biological Decontamination team. Today, Dr. Wright has been working in dentistry for over 30 years! He is currently a member of the American Dental Association. He has published articles in the Journal of Academy of General Dentistry, Implant Practice US and Proceedings of the Naval Institute. Dr. Wright and his wife Karen moved to Harrisonburg in November of 2002, and they have three children named Nicolas, Julia, and Rosemary. His hobbies include playing in a band, where he handles guitar and also sings. He also enjoys shooting sporting clays and writing opinion essays for his local paper.